Mike Greene - mgreene@shawmedia.com Marian Central's Ian Maxeiner (cq) pitches against Crystal Lake South Wednesday, April 4, 2012 in Woodstock. Maxeiner gave up six runs in five innings in the Hurricanes 7-1 loss to the Gators. Mike Greene - mgreene@shawmedia.com Crystal Lake South's Dom Winiecki (cq) swings at a pitch during the first inning of a game against Marian Central Wednesday, April 4, 2012 in Woodstock. Winiecki (cq) knocked in four runs in the Gators' 7-1 victory over the Hurricanes. Mike Greene - mgreene@shawmedia.com Crystal Lake South's Jordan Van Dyck (cq) pitches during a game against Marian Central Wednesday, April 4, 2012 in Woodstock. Van Dyck pitched six innings giving up one run in the Gators' 7-1 defeat of the Hurricanes. 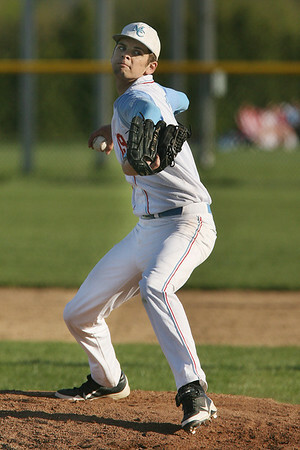 Mike Greene - mgreene@shawmedia.com Marian Central's Lincoln Herendeen throws to first baseman Scott Taylor during a game against Crystal Lake South Wednesday, April 4, 2012 in Woodstock. Marian Central lost to Crystal Lake South 7-1. 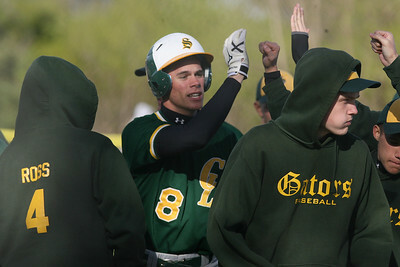 Mike Greene - mgreene@shawmedia.com Crystal Lake South's Dom Winiecki (cq) celebrates with teammates after hitting a three-run home run in the third inning against Marian Central Wednesday, April 4, 2012. Winiecki knocked in four runs in the Gators' 7-1 victory over the Hurricanes. 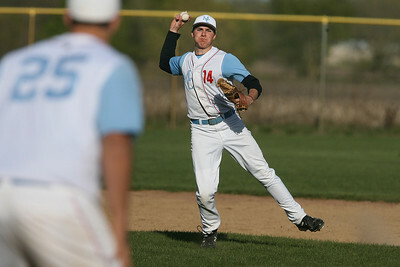 Mike Greene - mgreene@shawmedia.com Crystal Lake South's Jake Bigos (cq) reaches out to make a catch in left field during a game against Marian Central Wednesday, April 4, 2012 in Woodstock. Crystal Lake South won the game 7-1. 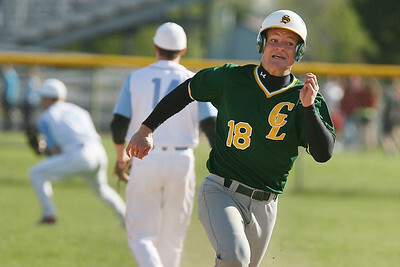 Mike Greene - mgreene@shawmedia.com Crystal Lake South's Jordan Van Dyck (cq) hustles towards third base after a hit during the first inning of a game against Marian Central Wednesday, April 4, 2012 in Woodstock. Van Dyck tripled on the play, knocking in one run and helping the Gators defeat the Hurricanes 7-1. Mike Greene - mgreene@shawmedia.com Crystal Lake South's Jake Bigos (left), Nick Severino, and Will Ahsmann celebrate in the outfield after the Gators victory over Marian Central 7-1 Wednesday, April 4, 2012 in Woodstock. 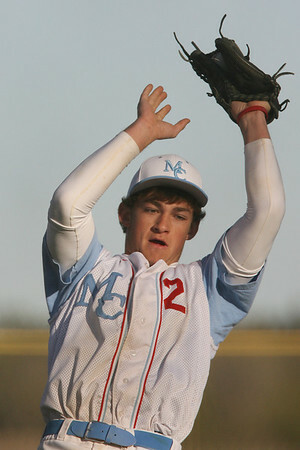 Mike Greene - mgreene@shawmedia.com Marian Central's Tony Milone (cq) catches an infield fly during a game against Crystal Lake South Wednesday, April 4, 2012 in Woodstock. Marian Central was defeated 7-1. Mike Greene - mgreene@shawmedia.com Crystal Lake South's Tyler Salm (cq) attempts to complete a double-play as Marian Central's Scott Taylor slides into second base Wednesday, April 4, 2012 in Woodstock. The double-play was unsuccessful, but Taylor was forced out at second. 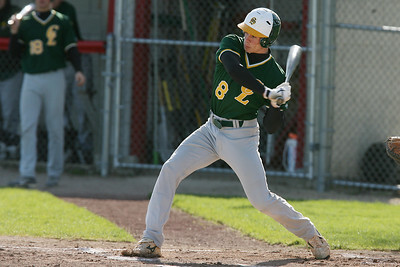 Crystal Lake South defeated Marian Central 7-1. 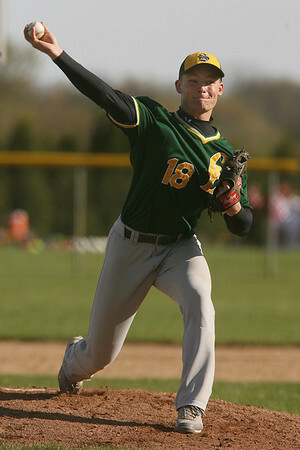 Crystal Lake South's Jake Bigos (cq) reaches out to make a catch in left field during a game against Marian Central Wednesday, April 4, 2012 in Woodstock. Crystal Lake South won the game 7-1.